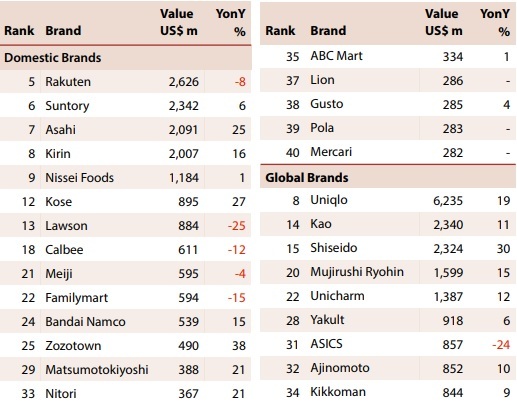 Interbrand’s annual valuation of top brands saw growing numbers of Japanese firms in retail and FMCG enter its global brand ranking. At home, online companies like Zozo and Mercari are also climbing the rankings. Other Japanese brands in the global ranking included Kao (14th), Shiseido (15th), and Muji (20th). 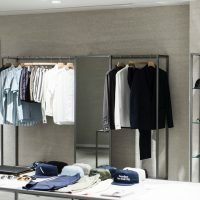 Of the top nine Japanese brands among the top 35 globally, ASICS was the only one calculated to have lost value in 2018, down 24% to US$857 million. Within the domestic market, NTT Docomo was the most valuable brand for the ninth consecutive year but fell 1% to US$9.7 billion. The other mobile companies, KDDI au and Softbank, took 2nd and 3rd spots. 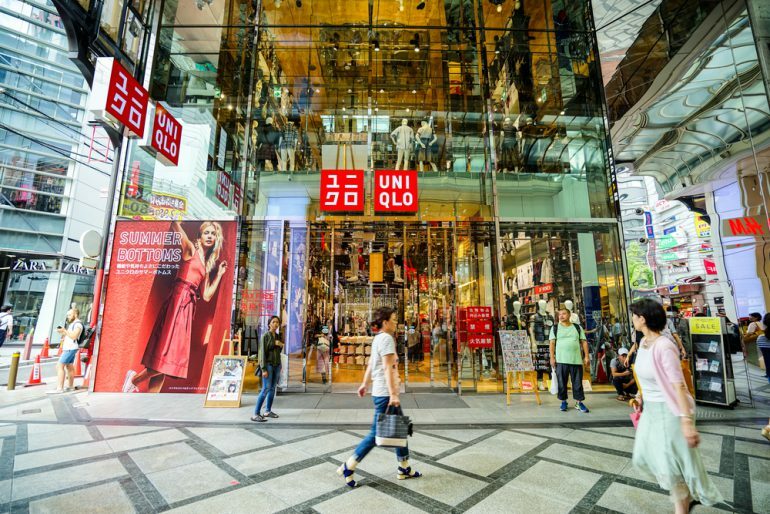 The most valuable domestic retail brand was Rakuten, ranked 5th at US$2.6 billion, down 8% on the year. This was followed by the three big beer and liquor brands, Suntory, Asahi and Kirin, Nissei Foods and cosmetics firm Kose. With Seven Eleven a global brand, Lawson was the highest ranked domestic retailer brand at 13th, while Familymart came 22nd. Zozotown saw the largest growth, up 38% to US$490 million, ranking 25th, ahead of Matsukiyo, Nitori and ABC Mart. 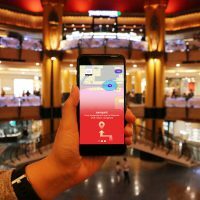 Mercari entered the ranking for the first time at 40th, valued at US$282 million. Interbrand noted that each year an increasing number of Japanese brands graduate to the global category – Toyota is ranked at the highest with a value of US$53.4 billion.